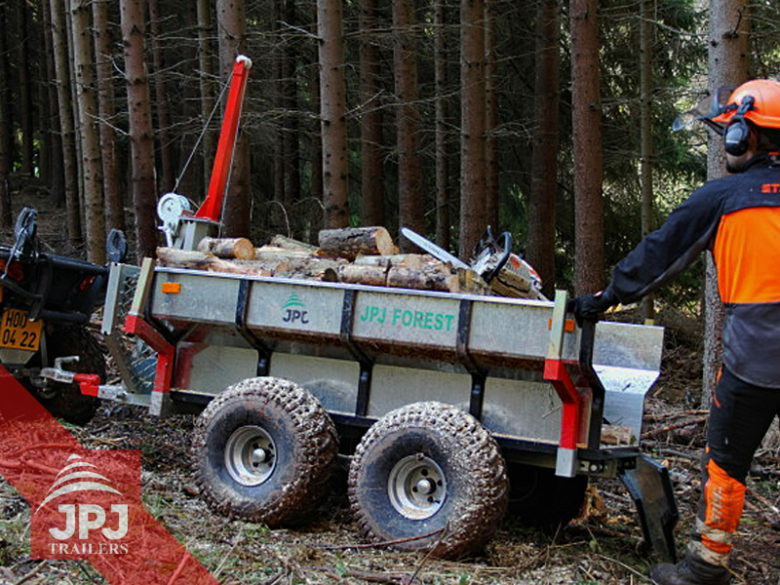 Multifunctional tipping trailers behind quads and compact tractors designed for transporting a wide range of materials, from timber to construction materials, under demanding conditions. They boast a high weight capacity and unmatched terrain passability. The trailers are supported by robust structures. They are very universal and, once the front and rear panels are removed, they can be used for transporting even longer objects. The trailers can be easily tipped using a manual winch. The trailers in question are the Worker, Profi Worker, Lumberjack and Profi Gardener trailers. When you choose an ATV trailer or forestry trailer from our line of trailers, your work quad will become a yearlong helper. You will no longer be able to imagine your life without it. If you have any questions regarding our trailers behind ATV, do not hesitate to contact us using the form below – we will be happy to answer all of your inquiries!